To what we hope will be the definitive web site on Trilobites from Oklahoma, with an emphasis on trilobite specimens from Black Cat Mountain prepared by Bob Carroll. We will be posting new information shortly, along with our new CATALOG and on-line shopping cart for your convenience. Please stop back real soon, and if you have any questions, please call us, or contact us by email, the information is posted above. Discovered this summer in the Haragan Formation by Bob Carroll. This genus has been found in other formations, but only a few partial or damaged specimens are known. 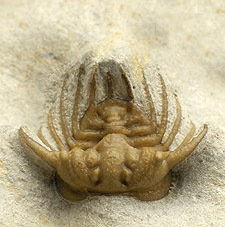 This is the first complete specimen known from any formation, and the first found in the Haragan. Preparation was completed in August, and there is absolutely no restoration. The specimen is 1 inch long, all appendages are present. HOME OF THE ORIGINAL TUCSON SHOW COUNTDOWN ALERT! 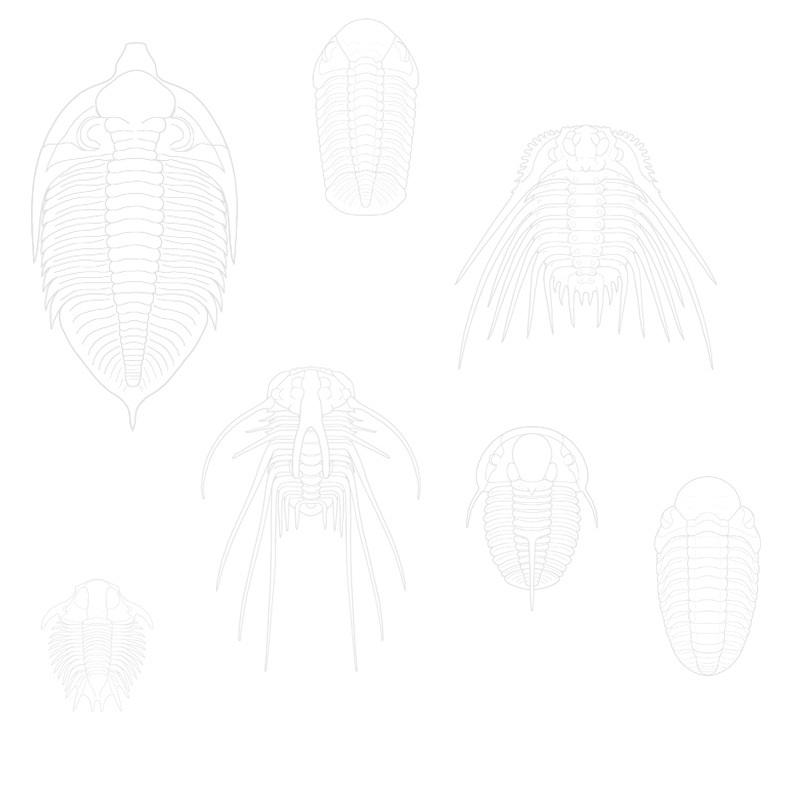 No trilobites were killed or harmed in the production of this web site. Copyright © 2004-2019 Carroll & C. Enterprises, all rights reserved.